Long Beach Police Department officers observed our client traveling at sixty miles per hour down city streets. As they pursued him before activating their flashing lights, our client allegedly also ran a red light. Officers then activated their siren and flashing lights and quickly thereafter pulled over our client. 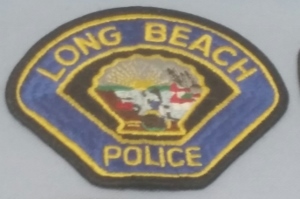 Synopsis: Long Beach, client speeding and running red light with 0.10% BAC, negotiated to wet reckless. From the moment our client was pulled over, the arresting officer seemed fixated on our client’s expensive jewelry, which was a large ring, a necklace and a bracelet. The officer failed to observe our client for fifteen minutes before administering the portable alcohol screening test at the scene, in violation of Title 17 of the California Code, and took terrible notes on our client’s performance of the field sobriety tests. At the scene, our client allegedly blew a 0.07% on the portable alcohol screening test. The officer then hauled him into the station, where during booking, he was able to get his hands on our client’s jewelry. The same officer then had our client undergo another round of portable alcohol screening tests at the police station next to an active radio. While radio frequency interference (RFI) is something that used to be a major issue in the accuracy of blood alcohol tests, it is an issue that has laid dormant for many years, if not decades. RFI is a concern when any electronic device is located close to a transmitting radio. The radio frequencies from the radio affect the operation of the other electronic device by creating additional electricity. This can become a concern when the non-radio device is a device such as a measuring device that relies upon electricity for accuracy of the measurement. In the case of our client, the measurement of his blood alcohol content would be potentially affected. In the 1970’s, defense attorneys successfully used this argument frequently to argue that the reliability of the blood alcohol results were inaccurate. This was because Black and Decker, the manufacturer of the most commonly used devices, did a study showing how the lack of shielding of their machines could cause radio transmissions to degrade the accuracy of the tests. In response, Black and Decker redesigned many of their machines and the problem was believed to be resolved. In our client’s case, we argued it was still a concern because the police made our client take the breath test just inches from the transmitting radio. In other words, we argued that the full strength of the radio transmissions would overcome the shielding the newer machines had to prevent such an effect. This seemed to be the case, as our client gave dozens of breath samples over a 45 minute period, each one failing to register above 0.08%. However, when one particular sample was given while the radio was transmitting, the sample registered as a 0.10% to the delight of the officer, who then stopped testing our client. Six hours later, our client was released, but without any of his jewelry. He immediately came to our office and we personally drove to the Long Beach Police Station to resolve the situation. The Long Beach Police immediately apologized and produced all the jewelry except the bracelet worth $6,000 according to a receipt our client had. Our client subsequently filed a claim with the Long Beach Police Department. Due to negotiating efforts of Greg Hill, by presenting the above facts to the City Prosecutor, our client was offered a wet reckless, with a $300 fine and a requirement that he complete the AB1176 program, a twelve hour alcohol awareness program. He did not have to attend any MADD classes. He also did not have to participate in the hospital and morgue program (HAM) or have an ignition interlock device installed on his car. While our client and our office believed an outright dismissal really may have been the appropriate outcome, our client was realistic enough to appreciate the risks of trial in this matter and agreed to the plea bargain offered.